The Binjai Residency in Kuala Lumpur. In a recent report from the UK, it was stated that the quality of a city's housing stock plays an important role in boosting its attraction and making it more competitive in global terms. Malaysia has slipped in global competitiveness according to both The Institute of Management Development and World Economic Forum but does this mean the quality of housing stock is still not of global standards? It is arguable that London is one of the top global cities and it has recently been reported that the housing stock in London continues to sell well and at prices equal to, or even above, pre-recession levels. This may be testament to the quality of homes in central London they are so desirable because of the quality of design, finishing and of course location in a vibrant city. Kuala Lumpur is not a global city yet but there are examples of high quality housing stock that should be contributing to its global competitiveness. For example, The Troika is designed by British firm Foster & Partners in cooperation with local firm GDP and such a building in London, New York and Paris would be five or six times more expensive to buy or rent. Probably the most expensive apartment transaction in the country was at a price of RM2,657 per sq ft for a penthouse unit at Binjai On The Park and the next closest in value would be The Troika. The buyer is a corporate figure who has been on Forbes magazine's list of wealthiest people. 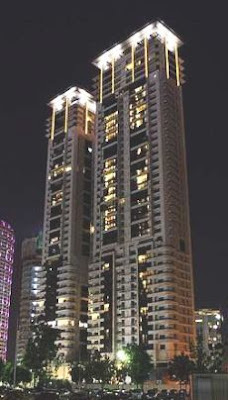 On June 22, 2010, he bought the triplex penthouse, measuring 14,300 sq ft, on the 42nd floor of Binjai's Tower B. The price tag of RM38mil meant the penthouse was sold for almost RM2,660 per sq ft. At the time, the marketing and sales manager was quoted in The Star as saying “The buyer bought the penthouse to stay. He fell in love with the 360-degree unobstructed view of the KLCC skyline right at his doorstep” similar to views offered by the likes of London's One Hyde Park. “Binjai On The Park was just like one of his other homes around the globe,” said Terri Har, marketing and sales manager of Layar Intan Sdn Bhd, the developer. The “Global Cities Review” published by Savills in the UK compares prices of residential units bought by CEO level executives in London, New York, Moscow and Hong Kong, and KL pricing is still 50% more affordable than in New York which was the only city not to show any price gains over the last five years. Indeed, the value of a CEO's home in New York last year was still down 7% on 2005 prices. London's wealthy residents, whether they own or rent, are likely to live in a house and it is “landed property” in Malaysia that is still the most sought after and valuable in the country. 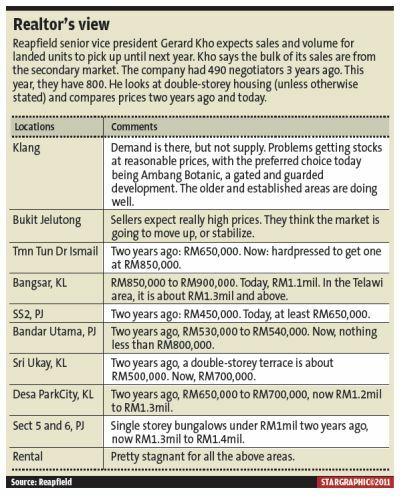 The so-called “bungalow in the sky” concept for some KLCC apartments has sold well and make wonderful accommodation for owner occupiers but investors have found it difficult to let at rents that would give acceptable returns. Only 40% of 5mil plus purchases in London were made by British buyers in 2010 and this is exactly what Malaysia needs more foreign buyers of residential accommodation and more foreign tenants from multinational corporations. The quality of the housing stock is present and getting better all the time and we look forward to more liberalisation of the business sector and the attraction of more foreign investment to boost the luxury housing market and improve the country's competitiveness. London is the world's largest financial centre alongside New York and there are more overseas banks in London than any other international city. Obviously the attempt to base an Islamic “mega bank” in Kuala Lumpur is welcome and may make Kuala Lumpur the global centre for Islamic finance. Life in London is very busy with Heathrow being the world's busiest airport and London having more than 300 languages spoken. Malaysia has embraced multiculturalism and so this is not likely to hinder progress towards being a global city. Just like London, the hunting grounds for wealthy families to live in large houses in KL are well established residential areas characterised by wide roads and plenty of parks or trees Areas in London for houses like Belgravia, Holland Park, Regent's Park, Chelsea and Mayfair are the equivalent of our Bukit Tunku, Ampang Hilir, Bangsar and Damansara Heights. Well-planned new townships like Desa Park City may well become the equivalent of Chiswick in West London one day and will undoubtedly help Kuala Lumpur become a global city! 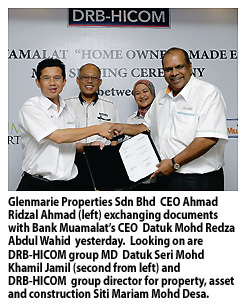 SHAH ALAM: DRB-HICOM Bhd's property subsidiary, Glenmarie Properties Sdn Bhd (GPSB), aims to launch projects with a total gross development value (GDV) of about RM1 billion over the next five years. "We're going to launch about 3,500 units of commercial/residential developments over 3,300 acres of land. That's the projection for the next five years," said Siti Mariam Mohd Desa, group director for property, asset and construction. GPSB, formerly known as HICOM Properties Sdn Bhd, is known for its riverside and gated resort-style development here in Glenmarie, near the Subang airport. It still has a balance of 200 acres in Glenmarie that can be developed, she said. Siti Mariam spoke to reporters here yesterday after GPSB and Bank Muamalat Malaysia Bhd, another DRB-HICOM subsidiary, formalised an agreement to develop a home-financing package. The package, available at selected Bank Muamalat branches in the Klang Valley, is designed for potential buyers of two of GPSB's developments, namely Glenmarie Gardens and Laman Glenmarie. Glenmarie Gardens consists of 70 units of bungalows that will be launched in three phases. 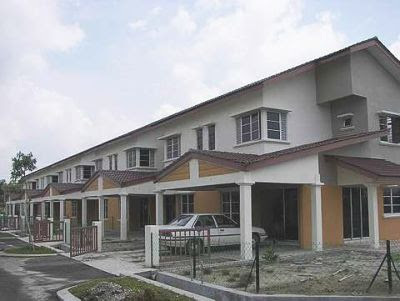 The first phase is fully sold, while the second phase is expected to be launched next week and the final phase, in 2012. Laman Glenmarie comprises 385 units of two-storey link houses covering 70 acres of land at Section U1A here. "Competitive financing rates, convenience of online repayment and a longer financing tenure of up to 70 years of age, or maximum financing duration of 40 years, are some of the package's attractive selling points," Bank Muamalat's chief executive officer Datuk Mohd Redza Abdul Wahid said. He said buyers could be eligible for funding of up to 95 per cent of the home value. Bank Muamalat has a financing portfolio of over RM8 billion, of which half is in consumer loans. Mortgages make up "at least 50 per cent to 60 per cent" of its consumer loans, he said. Mohd Redza said the bank's consumer loans are expected to grow by up to a fifth this year. 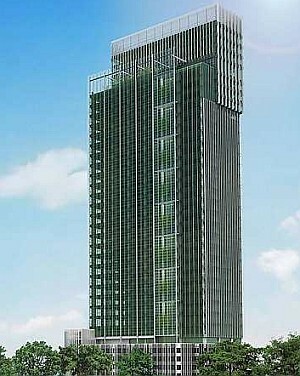 An artist’s impression of Menara Binjai. When the idea was conceptualised to develop a 35-storey grade-A office building along Jalan Binjai in Kuala Lumpur, the plan was to construct a “tower of sustainability” rather than a mere “structure with windows”. “We wanted to build something that was tall, striking and beautiful with lots of glass, not a building with small windows,” says Khor Joo Saik Sdn Bhd director Jackie Chua. The office tower that the company is building is Menara Binjai, which is scheduled for completion by the fourth quarter of this year. Fellow company director Chua Guan Hock says a lot of thought has gone into making it “as green as possible”. “Going green was not an afterthought. It was planned from the beginning. By doing this (going green), we felt that we would be able to improve the quality of the working environment for potential tenants. “Construction began in 2008 but it has been on the drawing board since 2004,” he says. According to Guan Hock, Menara Binjai complies with strict environmental regulations that comprise reducing the impact of its construction on the surrounding area and adopting a low carbon footprint approach. Key green features of the building include low-E double-glazed windows for optimum heat and sound insulation, energy-saving air conditioning (which uses a centralised water-chilled air conditioning system), destination-based lifts (which allows customised floor selection to minimise waiting and stopping times, with drive motors that enable up to 30% savings in electricity consumption) and energy-saving lighting. According to the company's brochure, the host of green features at Menara Binjai permits sustainable, energy-efficient operation with up to 25% savings on electricity and air-conditioning consumption. From left: Khor Joo Saik project manager David Hong, Jackie Chua and Chua Guan Hock. The building has also received the Green Mark Gold Certification (Provisional) from the Singapore Building and Construction Authority as well as provisional certification from Malaysia's Green Building Index, making it the first dedicated office tower in the country to receive both awards. Multimedia Super Corridor-status accreditation for Menara Binjai is pending, according to Guan Hock. The building, which has a gross development value of RM180mil, will be targeted mainly at tenants in the oil and gas, financial, services and trading sectors. Strategically located at the junctions of Jalan Binjai, Jalan Tun Razak and Jalan Ampang, Menara Binjai will comprise four levels of basement parking and another four levels of podium parking. The office floors, which have a net lettable area of 12,000 to 13,000 sq ft, start from level six. Project manager David Hong says the company has also invested in a centrally-located data centre on the fifth floor of the building. “Instead of having our tenants set up their own server rooms, we felt that it made business sense to have them park their facilities in one common data centre,” he says. 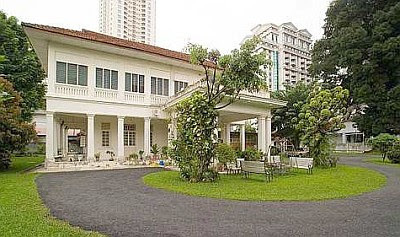 Menara Binjai today stands on the site where the family home of the late physician Dr Chua Boon Teck used to be. Boon Teck's father was Chua Cheng Tuan, one of the co-founders of Cycle & Carriage Co, now known as Cycle & Carriage Bintang Bhd. The old Chua family home used to sit where Menara Binjai now stands. Boon Teck's wife, the late madam Khor Joo Saik (whom the company is named after), was said to be a formidable nyonya businesswoman who acquired substantial plantation and property plots for the Chua family, including heritage sites where the Coliseum Cinema and Coliseum Cafe are located. 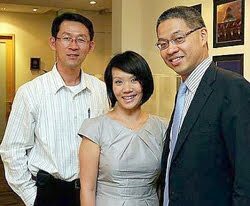 Guan Hock and Jackie, who are descendants of the Chua family, says they have no plans to sell Menara Binjai. “We don't intend to sell the building. It's for the long term,” says Jackie, adding that since they own the land, they are able to provide a competitive rate of RM7.50 per sq ft for their would-be tenants. “The land is a legacy of the family,” she says. PETALING JAYA: Dijaya Corp Bhd will launch property projects worth RM3.5bil over the next two years. The projects include W Hotel and Residences Kuala Lumpur, serviced apartments in Tropicana Danga Bay, Tropicana Gardens commercial centre, Tropicana Avenue business and retail centre, Tropicana Bayou mixed development and Tropicana Cheras bungalows, semi-dees and linked houses. “With all these projects in the pipeline, the company is poised for growth,” said managing director Datuk Tong Kien Onn in a statement yesterday. Meanwhile, for its first quarter ended March 31, Dijaya's net profit surged to RM18.14mil from RM464,000 previously. The improvement is attributable mainly to higher profit margin contributed by its new property launches such as Tropicana Grande condominiums, Casa Tropicana Block E condominiums, and Pool Villas. However, revenue fell to RM57.68mil from RM58.37mil previously.